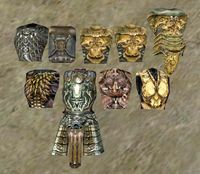 ** Wearing the Indoril Cuirass will earn you the wrath of the Ordinators if you talk to them. (This includes those who talk to you if they are trying to arrest you.) Once you have been thus marked, every Ordinator you see from then on will try to kill you. There is no way to stop them once this happens, so be careful where you wear this armor. ** Wearing the Indoril Helmet will earn you the wrath of the Ordinators if you talk to them. (This includes those who talk to you if they are trying to arrest you.) Once you have been thus marked, every Ordinator you see from then on will try to kill you. 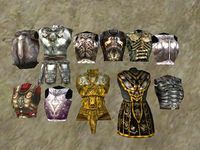 There is no way to stop them once this happens, so be careful where you wear this armor. * The best item in the game for enchanting. This page was last modified on 18 October 2018, at 06:00.